Wallingford folks will be saying, “The circus is in town” the weekend of Dec. 14-16. Not the old elephant-and-bearded lady kind either. 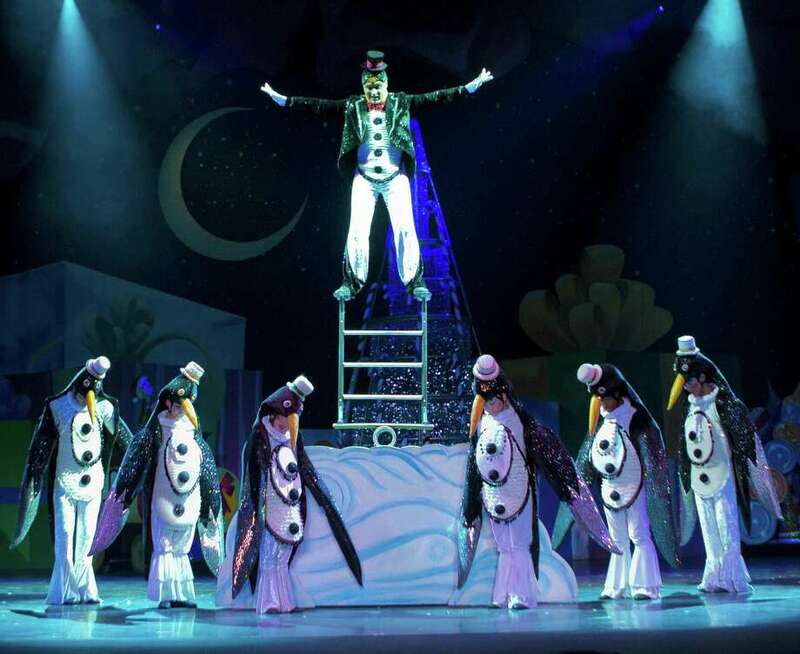 Talented performers will be singing, juggling, tight-rope walking, dancing, balancing and flying around the stage at Oakdale Theatre for four shows of “Cirque Dreams Holidaze” — all wrapped in a bow of holiday themes and tunes. “Holidaze” is in its 11th touring season, actually, says Cirque Dreams Founder Neil Goldberg in a phone chat from Florida. Long Island-raised Goldberg says his family would travel to New York each holiday season to see the Radio City Christmas Spectacular. Families like to be be entertained during this season, notes Goldberg, and he thinks this show is becoming a holiday stage spectacle for many. As the product of a textiles company family, a young Goldberg started out dressing city store windows for fun and a few dollars. Fifty years later, he’s still very involved with the 300-plus costumes in this show, as well as so many other details. Goldberg has created more than a dozen cirque shows in 26 years, including “Cirque Dreams Revealed,” which ran at Mohegan Sun in March. (There are eight of his shows running at this time.) His inventive productions have played on Broadway and the Grand Ole Opry, not to mention cruise ships and theme parks. Wait, how the heck do you find talent to staff five versions of this show, much less all the other Cirque Dreams productions? Goldberg says it has gotten a bit easier. Most of the touring circus shows that people know are by Cirque du Soleil of Montreal. Florida-based Cirque Dreams stood out as a U.S. alternative until four months ago when (as part of its parent group VStar Entertainment) it was sold to industry leader Cirque du Soleil. Just as well, perhaps. People know the cirque brand, but Goldberg’s holiday version boosts spirits and “puts a smile on people’s faces,” the impresario says.